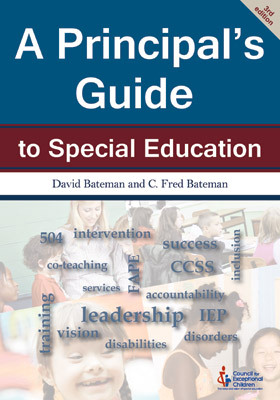 David F. Bateman is a professor in the Department of Educational Leadership and Special Education at Shippensburg University of Pennsylvania, where he teaches courses about learning disabilities, special education, and special education law to future teachers and administrators. Dr. Bateman has been a classroom teacher of students with learning disabilities, behavior disorders, intellectual disabilities, and hearing impairments. The former due process hearing officer for the Commonwealth of Pennsylvania and past president of the Pennsylvania Council for Exceptional Children, he is public policy chair of the Division for Learning Disabilities and is active in the Consortium for Citizens with Disabilities in Washington, DC. He is coauthor of The Principal’s Guide to Special Education, 3rd Edition (Council for Exceptional Children) and The Special Education Program Administrator’s Handbook (Pearson). He has a B.A. in Government and Foreign Affairs from the University of Virginia, an M.Ed. in Special Education from the College of William & Mary and a Ph.D. in Special Education from the University of Kansas. 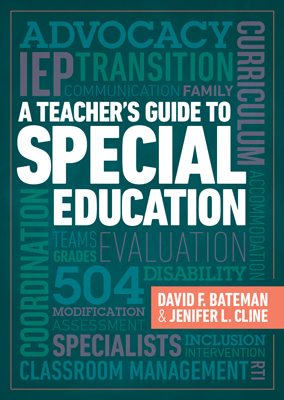 This book clarifies what general education teachers need to know about special education law and processes and provides a guide to instructional best practices for the inclusive classroom. Whether you're a new or veteran principal, this book will help you confidently navigate your way through the issues typically involved in coordinating the education of children with disabilities.